22-year-old Michael Lembhard was killed in his sister's home on Wednesday, March 7, 2012 in Newburgh, NY. The family called for a special prosecutor in the police-involved shooting. 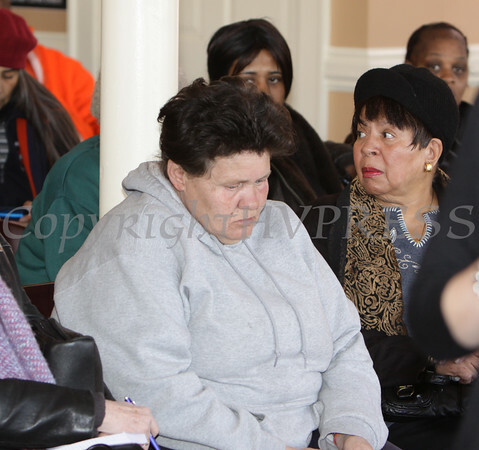 Arlene Coolidge, center, waits in the Council Chamber for a press conference at City Hall in Newburgh, NY on Friday, March 9, 2012 to hear what Orange County District Attorney Frank Phillips and Police Chief Michael Ferrara had to say regarding the police-involved shooting of her 22-year-old son, Michael Lembhard. Hudson Valley Press/CHUCK STEWART, JR.